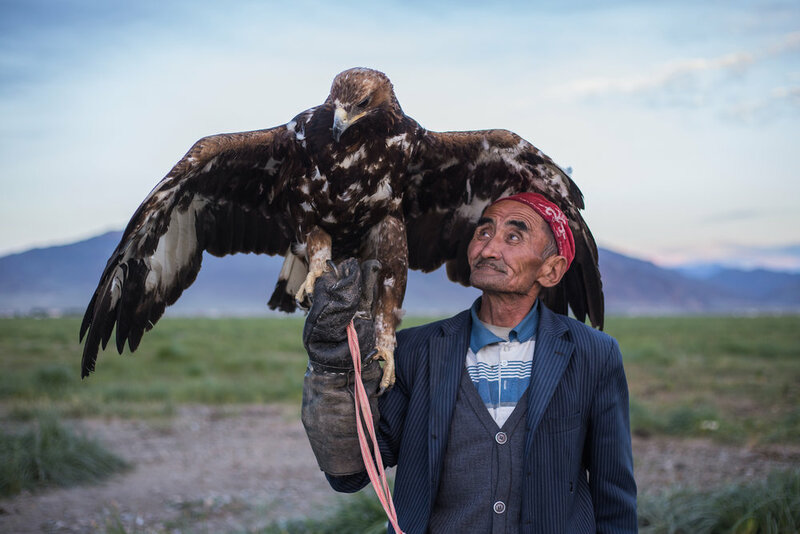 While in Ulan Baatar in the fall of 2015, I heard about a festival in the far reaches of Western Mongolia - the yearly golden eagle festival of Bayan-Ölgii. 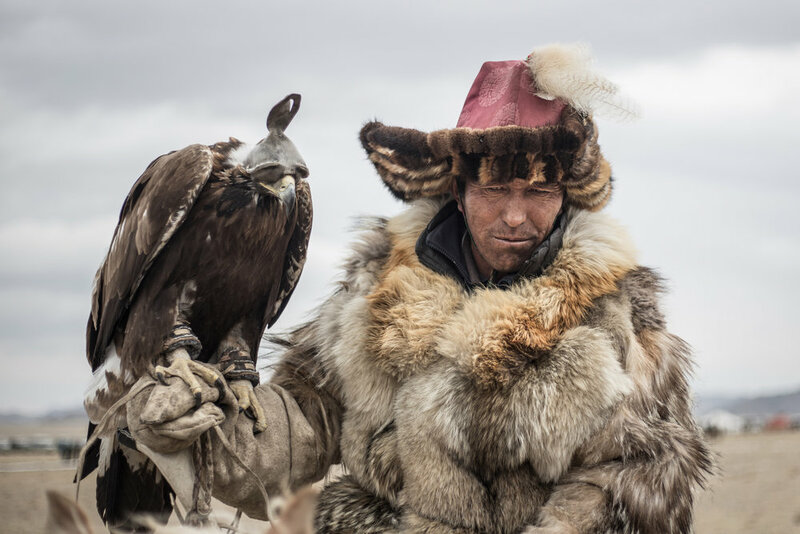 Photos of fur-clad men on horseback with eagles perched on their arms got me hooked, I had to go see it for myself. Airline tickets were sold out so I booked a spot on a coach. 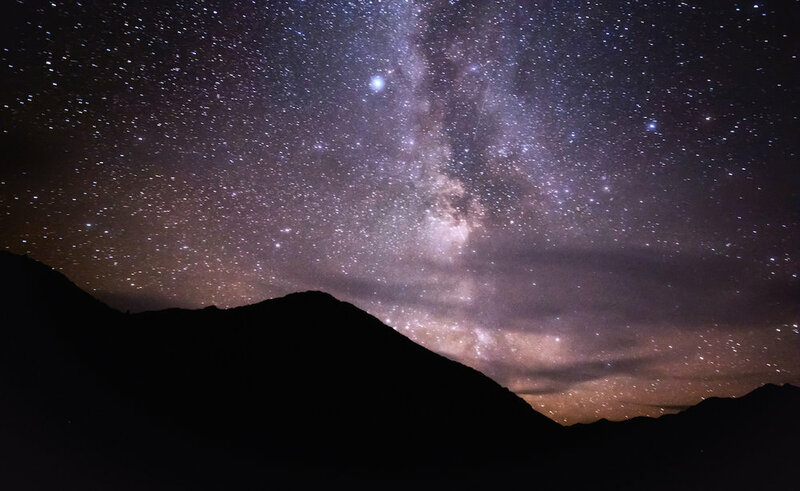 A few days later I was pressed up against a cold window pane, enduring the 42 hour bus journey, off-road across the desertic steppe (they have since built a road). 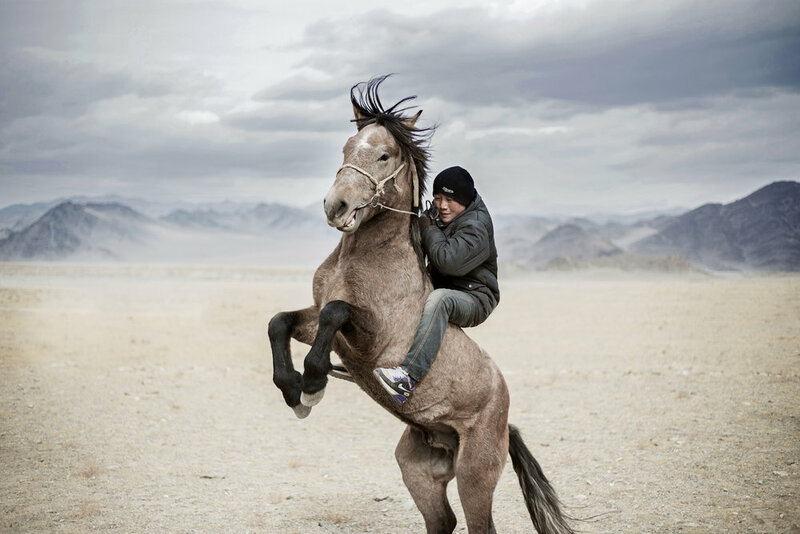 At dawn, on the morning of the festival, I made my way to the designated windswept field by soviet-era mini van. 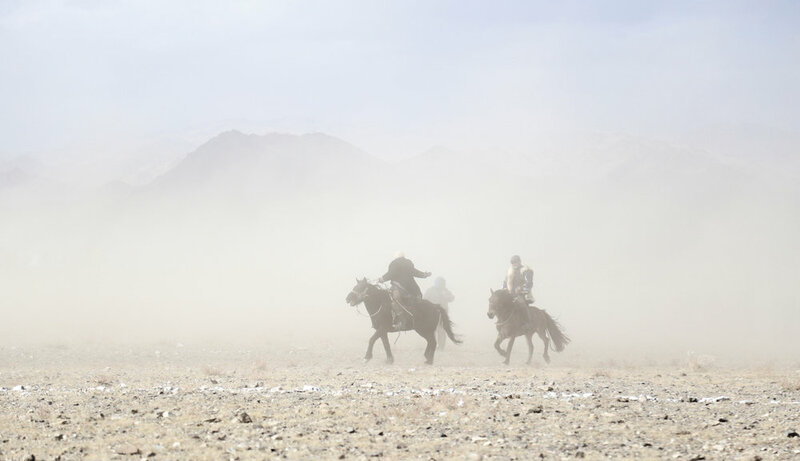 Gers, Mongolian yurts, were set up in a line, spewing smoke from their tin chimneys. Women served Tsutai-tsai, a salty and milky tea, and meat-filled dumplings. 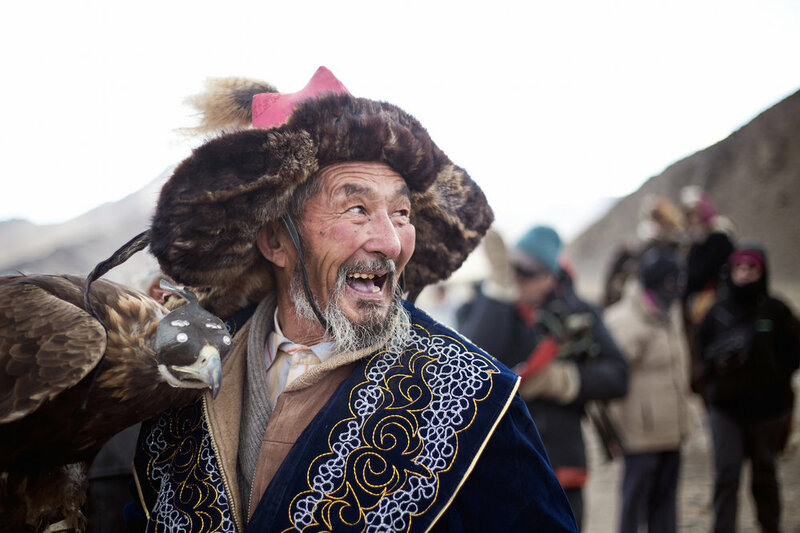 From the valley below and from the hills above, dozens of Kazakh men rode in gracefully on their horses, large eagle perched proudly on their forearms. 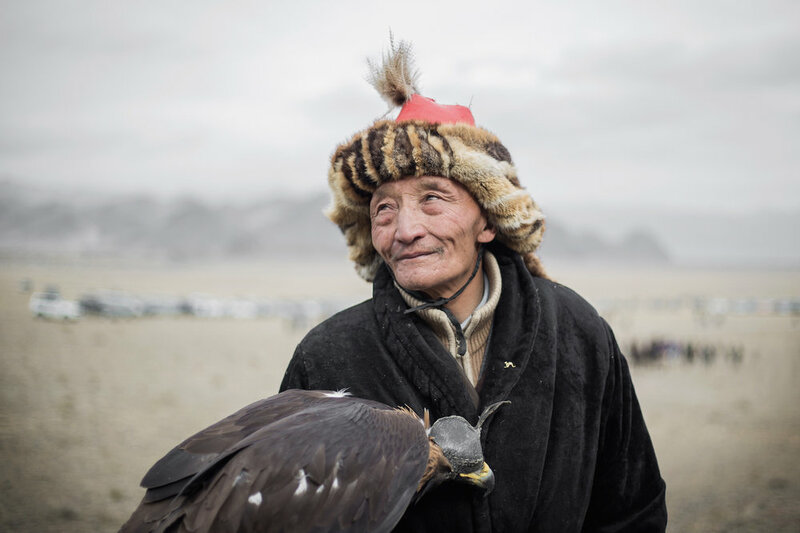 The two day festival was comprised of a series of competitions to determine the best team of eagle and hunter, as well as other traditional games.